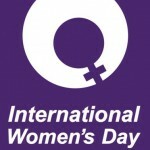 Abaco Corp was Happy to celebrate International Woman’s Day March 8th. As a Woman owned Family business we are proud to celebrate the Women who support, work for and empower this business. We also would like to take the time to celebrate the Men who support the Women of Abaco and our many clients. Even though behind every Man is a powerful Woman, we can also say behind every strong Woman is a Man who has seen and heard it all. This entry was posted in recent news by abaco_admin. Bookmark the permalink.